I am avoiding the internet, I still get on Wikipedia.org to learn, but generally, I am avoiding the internet I do not want to become a machine. 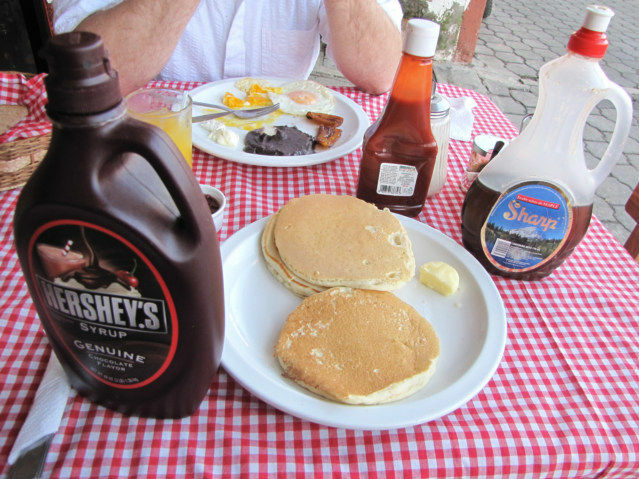 Here is a Photo of a Pancake served with Chocolate here in Guatemala. What is a Cliché Photo? A cliché is a saying, expression, idea, or element of an artistic work which has been overused to the point of losing its original meaning or effect. I used to feel proud to allow readers to look at my photos, now I am feeling shame. I know people sending you photos overwhelm the majority of you. I am amiss; I can no longer find any meaning in sending you photos daily. In fact, it feels like it is bad manners to send you more and more and more, why would I help the world to overwhelm you with photos. The toilet paper photo is to assist me in writing a travel tip. 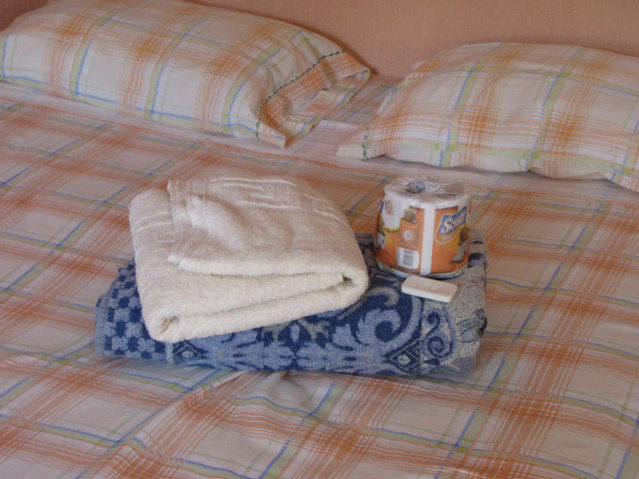 The travel tip goes something like this, when you see the toilet paper in the center of the bed an alarm needs to sound in your head. Take the toilet paper instantly into the restroom where it belongs, or you will be sorry. Every photo tells a story; however, a photo without the story is boring, annoying and cliché, it makes me feel petty. The amount of time I spend using the internet is decreasing, maybe I am thinking about the movie "The Terminator," I think the machines are taking over the planet. I think people who use the internet are becoming machines; they have little value for humans. We, or I will never get bored or tired of your photos, interviews with fellow travelers, or your points of interest that you chose to share with us. Keep up the good work. I am not changing anything, I just want to let readers know that I feel guilty when I send photos you can find by the 1000's on the Internet. I am focusing on using photos to help tell a story more, and have more or less stopped just sending my good photos for some reasons. I propose question and hope to find answers. On the other site, we are going to start publishing all the photos I take so readers can go comment they wish, but this will be just a related link, and easy to avoid.